Having recently retired, we are now able to take more time travelling and going to destinations that are a little further afield. Longer holidays do bring new problems though - how do you pack enough clothes to go away for 3 weeks AND stay below the 15kg per person baggage limit needed for internal flights in India? Overnight laundry isn't always available or ready in time when you are on tour and buying cheap T-shirts en route and throwing them away is just wasteful. Fortunately we have found that Rohan clothes are stylish, easy to wash in a sink and dry (with no need to iron) overnight. Problem solved, we were able to enjoy the holiday. 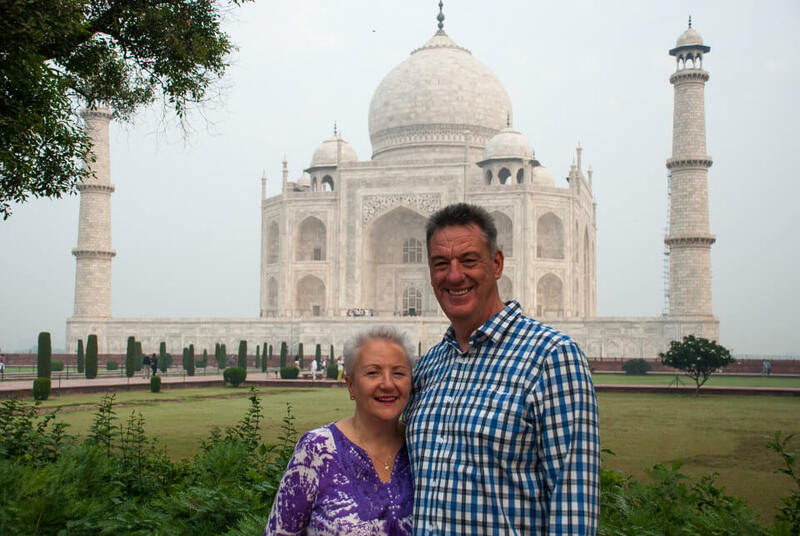 It was our first trip to India - and the first thing we should say is that we will definitely be going back. The place is dirty, chaotic, busy, colourful, friendly, beautiful, vibrant and totally amazing! It all seems too much at first, but you quickly learn to adjust to the Indian pace of life and really enjoy the experience. Just walking across busy roads felt like a near-death experience in the cities, but once you worked out you needed to walk steadily and make eye contact with drivers, it was easy to get to the other side. At first it seemed like utter chaos - horns sounding all around you; there are as many lanes as you can fit vehicles into; horns to warn of overtaking; trucks coming down the wrong side of the road; horns to alert pedestrians; cows sleeping in the road.. and did I mention the horns? However we soon realised that they were safe drivers and probably pay more attention to the road than we do in the UK - after all, if you have no idea what is coming the other way, you need to! The main focus of our tour was the palaces, forts and temples in Northern India - and the jewel in the crown is undoubtedly the Taj Mahal. We had been worried that it had been over-hyped but it was truly amazing. So familiar because you have seen it in photos a thousand times before, yet stunning because of its physical size that photographs can't really portray. You just have to go there. We had been worried about getting ripped off along the way, but our trip passed without incident and everyone we met was friendly and helpful - you do have to ignore some of the more persistent helpers though; the main tip is not to engage in conversation when the hawkers pounce - unless you want to of course. Oh, and giving things to the kids just encourages more of them, so it is best not to. Our top tip: Leave some room in your suitcase for shopping before the trip home! Shirts that washed and dried overnight. A spare pair of sandals - mine broke but, being India, I managed to get them repaired for 100 rupees (£1). Curry every meal and avoiding salad and ice. By the end we were fantasizing about steak, salad and chips!